Finding the optimal SD-WAN solution for your enterprise is not easy. Vendors and industry analysts talk about the same topics and use the same buzzwords so it is no wonder that it can be difficult to decide what features are important or relevant. 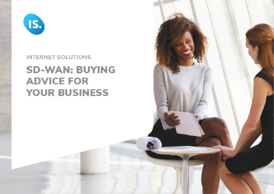 To make it a little easier for you, we have put together a guide of what to keep in mind when you are trying to select an SD-WAN solution. We start with common questions IT managers ask, and then look at the reasons why SD-WAN makes sense for businesses of all kinds (and how they can most effectively implement it).